Yoo Jin O later reveal himself that he is actually a ghost and came out from the type writer. This shocks Han Se Joo and he fainted infront of him, when he woke up seeing Jin O he screamed and ran out of the room to avoid him. But Jin O the ghost writer follow him every where he tried to hide. 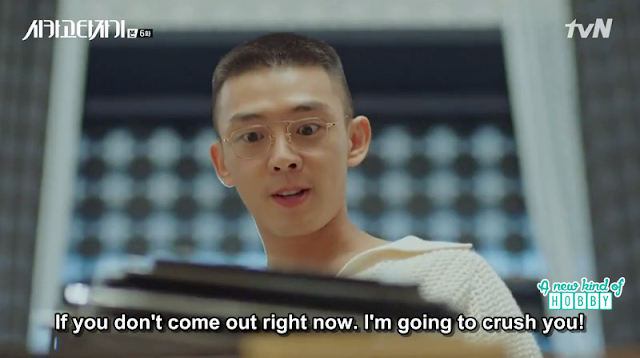 He become too scared considering the fact Jin O can walk through the walls so he can't hide move or yell yet but change his tone and become obedient infront of Jin O. He then revealed how he become visible to Se Joo and who else can see him. Of course it was Bang Jin who can see Jin O she was shaman's daughter. She can see and talk with Ghosts even her mother sometime become amaze to whom she was talking with. Se Joo now become very much concern with the ghost writer Jin O who then then told he wanted to become visible to people in order to confess his feeling to Jeon Seol. 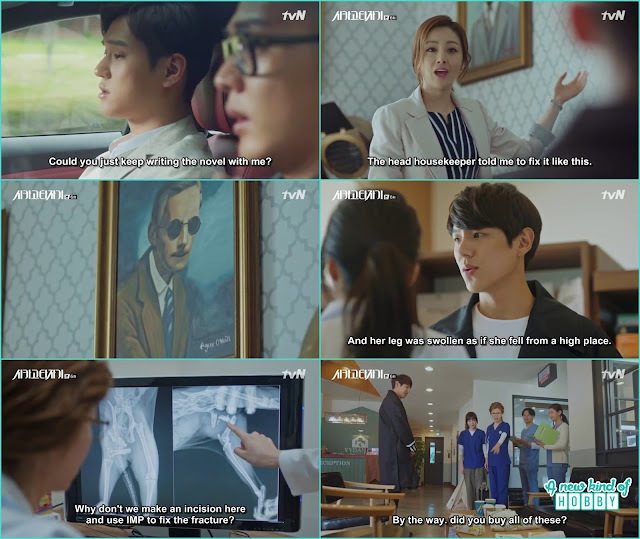 he only can posses the body of animals and hear we come to knew the secret of the stary dog who let Seol in Han Se Joon house. 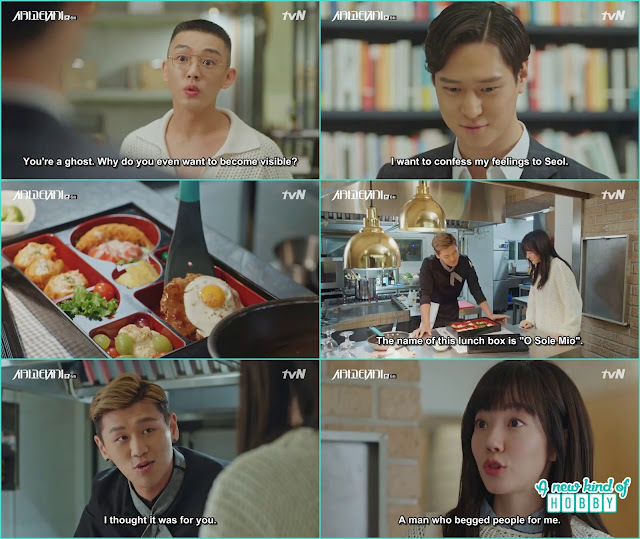 Jeon Seol with the help of her chef friend prepared a breakfast for Han Se Joon as a thanksgiving from a fan, because of his request the fans stopped teasing and calling her. She came to visit Han Se Joon who don't want her to be here but Jin O insisted to open the door infact he was the one who opened the door for Seol. 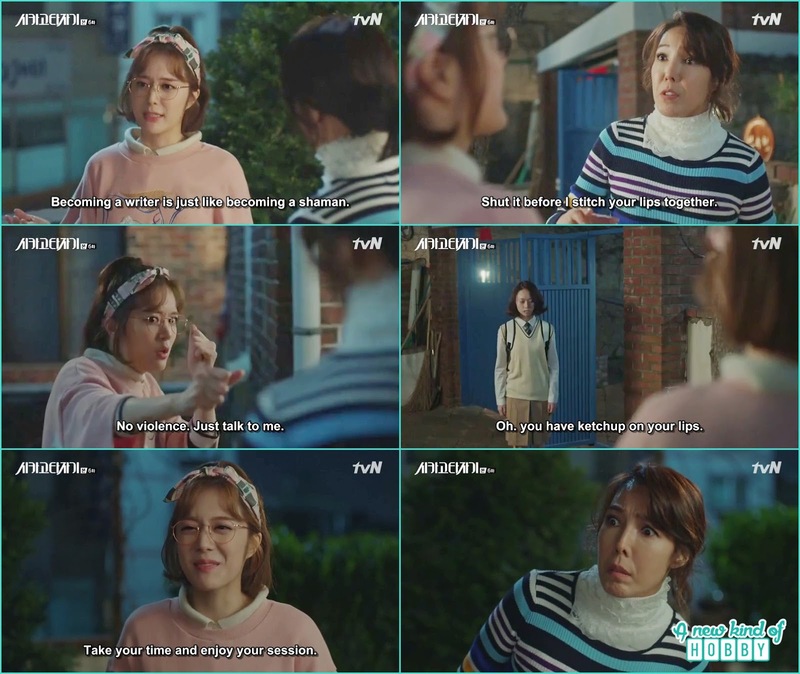 because of Jin O's act Han Se Joo irritated and shout at him, Seol misunderstood and thinks she was being mistreated. She wanted to leave but Jin O request Se Joo to stop her, look like a love triangle between the three took place. 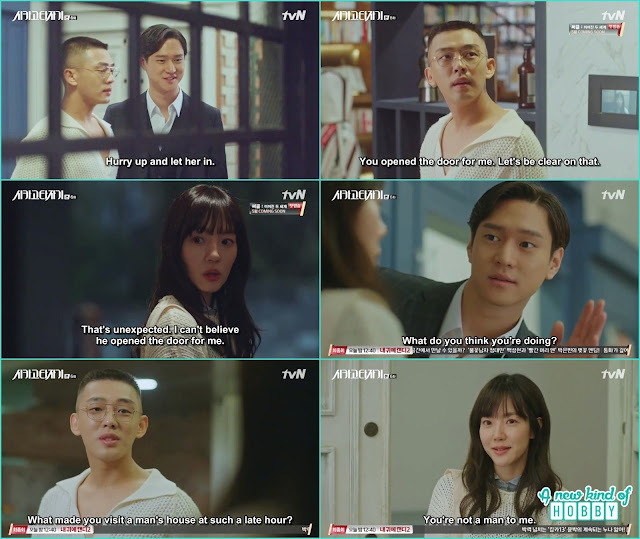 Jin O was head over heels fall for Seol and was looking at her continuously, Se Joon become a bit jealous and angrly scold him. It was an unbearable situation for Seol she was about to leave as she couldn't stand Se Joon's behavior Jin O grab her bag in order to stop her but end up tearing it. This was an embarrassing situation Seol misunderstood it for Seo Joo who first shout and now stooping her by tearing the bag. After Seol left Jin O disappear he knew he will be receiving a scolding for what happened earlier. Se Joon become mad in anger, his situation was being witness by the publisher who was now worried for his mental status. He called the doctor and told him Se Joon's gone crazy. Se Joon visited the doctor and during the consultation session Jin O was there when doctor ask did he still see ghost or images, we wonder why he refuse that he can't see ghost or images now. There also we come to knew about Se Joon childhood how he end up at Mr Do Ha's house and how he was treated by his wife and son Tae Min. They thought of him the son of Mr Do Ha's first love and every thing started with this assumption. Se Joo sectary foxed the wall painting and transformed it with the edition of glasses. Tae Min visited the vet and consult for his cat broken leg. The doctor when saw the x ray was confused how the fracture happened as it was may be done by someone forcefully. 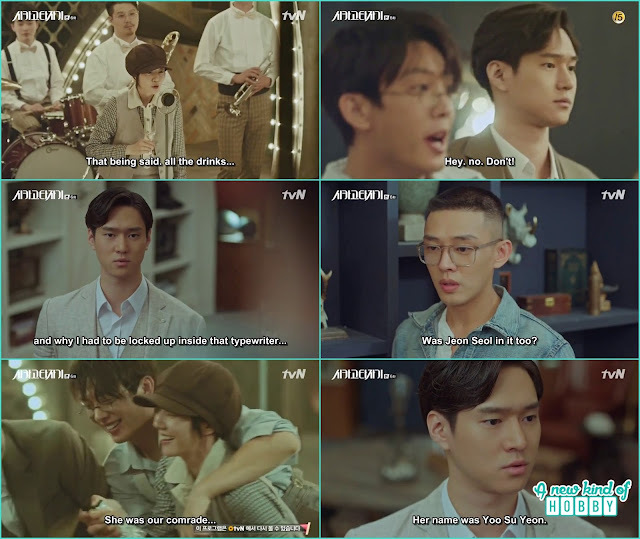 After getting checked his cat Tae Min bought Seol to his studio and offer her to work for him, she again refuse but end up agreeing somehow. When both came back to the hospital Seol saw that starry dog outside the hospital and take him in. 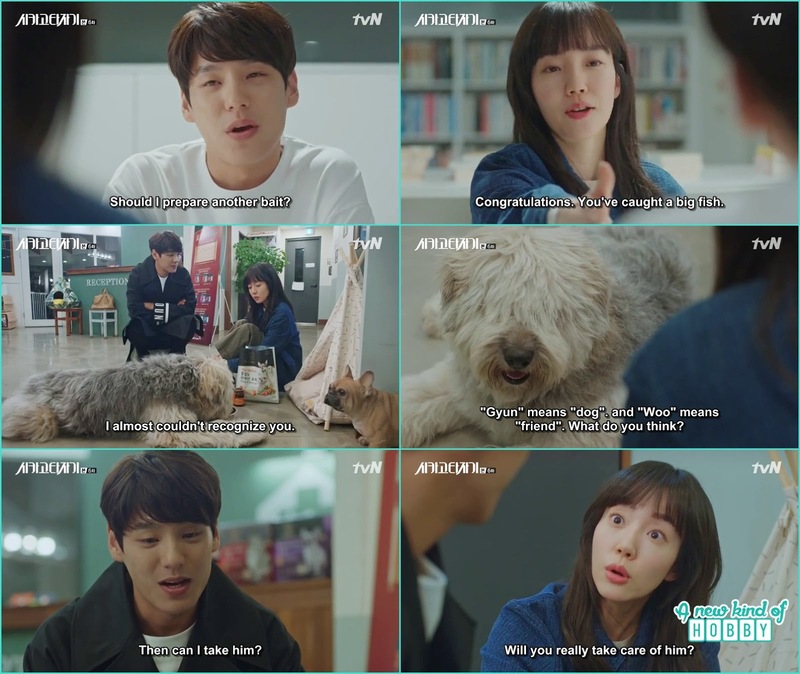 Then she told Tae Min she named the dog Gyung Goo means "Dog Friend", he was the one who played an important role in meet with writer Se Joo, but now he won't take the dog in. hearing this Tae Min offered to become the guardian and take dog Gyung Goo. 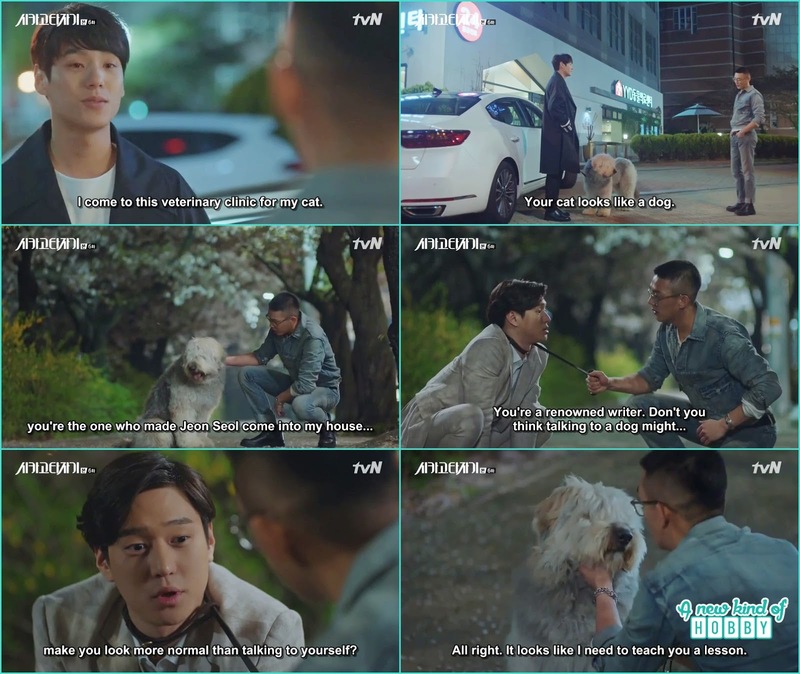 As Tae Min leaves the clinic Se Joon was about to come and meet with Jeon Seol, seeing the dog with Tae Min he can't bear the fact Yeon Seol to be close to him. After an argument he forcefully took the dog from Tae Min as he knew it was the same dog who barged in his house. While walking he heard Jin O voice and surprise but couldn't see him around, then find the voice actually comes out from the dog. He become furious and wanted him to came out from dog's body nothing could go his way Yeon Seol witness him an accuse him for abusing pet animal. 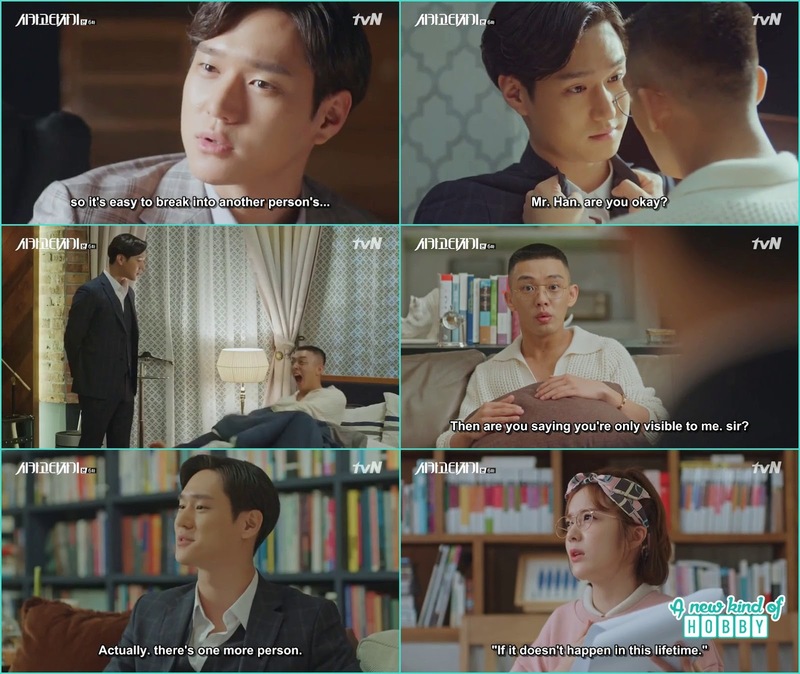 It was his bad time doing good for nothing his position become worse infront of Yeon Seol she then took the dog from him and left. 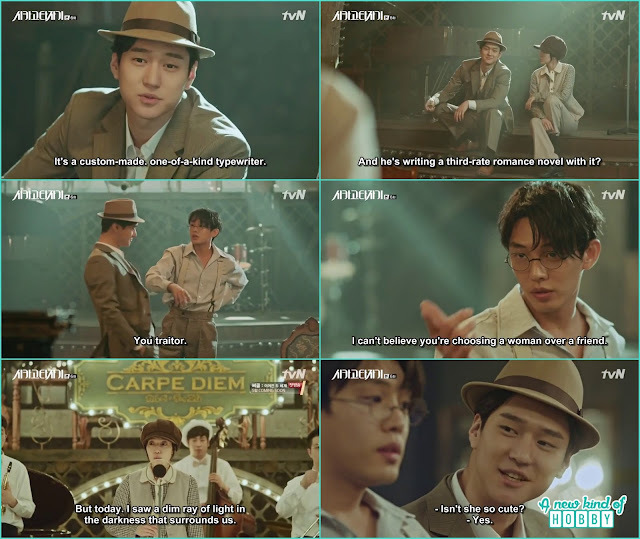 Incident happen one after the other and Se Joon become all frustrated he wanted to get rid of from ghost writer and good for nothing antique typewriter. He decided to smash it and suddenly recalls the vision from back them 1930. He was along with Jin O and peeking at the latest typewriter arrived in the market, looks it was the Japanese version but Jin O told that they can type korean with it. Jin O wanted to purchase it but it look a kind of expensive se Joon then console nothing to worry all he need a pen to write anything he wants. Who in the world don't like technologies Jin O bought the typewriter and gift it to Se Joon. 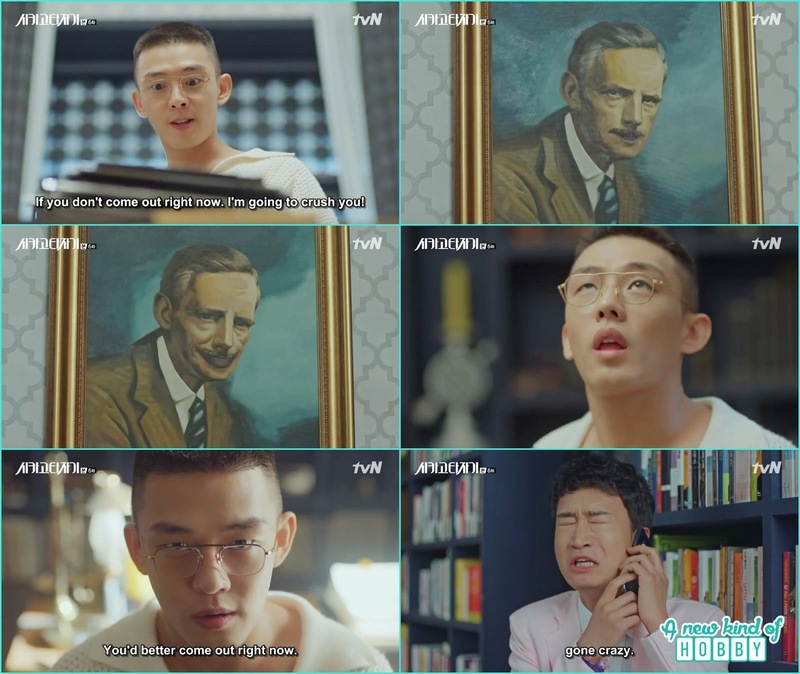 While he was about to complete his novel Yoo Su sntach his draft and ran. Jin O stop Se Joo from chasing her and receive a compliment of being a traitor who choose a girl over friendship. At the bar Se Joo was waiting to knew the response of Yoo Su on his drafts. Yoo Su appreciate the content and celebrate for the emerging writer. In the present Jin O told Se Joo he wanted to knew why he died and stucked inside the typewriter why not he was the one being reincarnated like others. 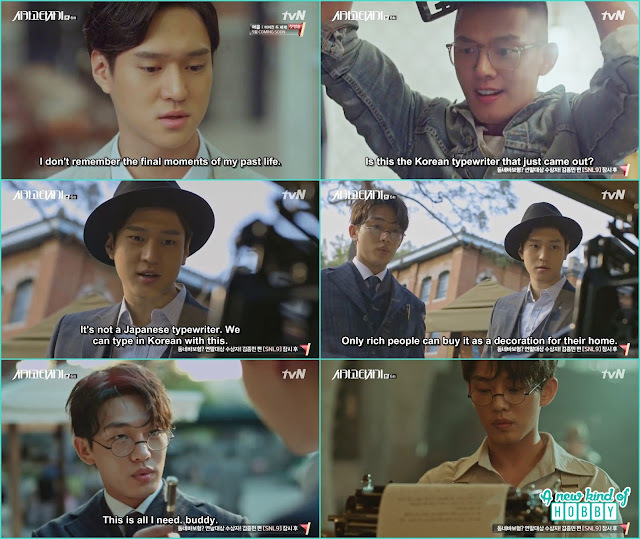 We also are curious to knew what actually happened in 1930 that Chicago typewriter become the legendary history for the best seller writer. Stay tuned to find out more.